For those with a weakness for Indian food, NDTV Good Timesa�� new show, My Yellow Table, will not disappoint. Celebrity chef and restaurateur Kunal Kapur, who was last seen as a guest judge on season two of Masterchef USA, will be seen decoding some of his favourite recipes on this show that premiers tomorrow. a�?The focus is to create Indian food with subtle changes in ingredients,a�? says Kapur, adding that the table is the star. a�?It will feature a guest on each episode, and we will cook a a�?perfect meala�� for the guestsa�� loved ones. The idea is to fill up the table with food. We even have celebrities from fields like fashion and radio coming on to the show and cooking with me,a�? says Kapur, 35, who is known for his curries and kebabs. The first episode will have stand-up comedienne Neeti Palta as the guest. Kapur will cook her Rajasthani favourite, lal maas, followed by khoba roti and apple and walnut salad. And in the next episode, watch out for yakhni pulao, lentil coconut soup and turmeric kulfi, among others. 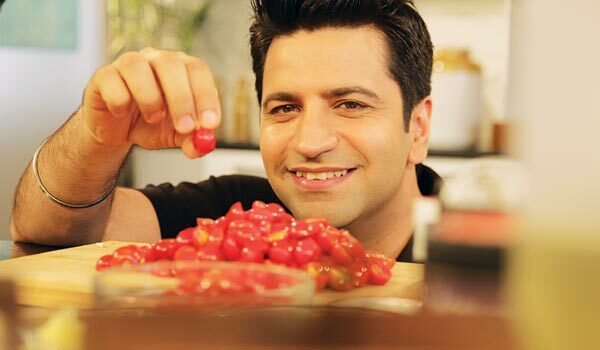 Kapur, a huge admirer of Jamie Oliver, also believes in eating fresh and healthy. a�?But with the lifestyle we are leading now, fresh food will soon become a luxury, as people are switching to packaged or easy-to-make food,a�? says the chef, who is working closely with the NGO, United Ways Delhi, to create a better quality of life for the locals there. The NGO will launch a programme that will identify under-privileged youth and get them trained in the art of cooking, by Kapur himself.